"Welcome to the June Newsletter for Candidates. I hope you find it interesting." This week we have experienced a phenomenon that I haven’t seen in place for quite some time. A law firm in the Midlands requested CVs for a number of candidates and it appeared they were selecting on a fairly tight set of criteria. Ten Percent Legal Recruitment booked the interviews which were to be held over three days and the candidates duly proceeded to attend. We suspected something was not quite right with the firm after the first candidate had been and telephoned us to say that the law firm offices were above a kebab shop, looked like the entrance to a brothel, wasn’t quite sure how the person interviewing had passed themselves off as a solicitor as they certainly didn’t seem like one and gave the candidate a lecture for 20 minutes on why the firm couldn’t employ them. He explained that the law firm had then offered him a job paying £14,000 a year, that showed great opportunity and potential for him, but that he’d be expected to work the first three months free of charge. What’s more, he wanted the candidate’s mobile number so that he could avoid telling the agency (i.e. us) that the law firm had recruited the candidate. Fortunately the candidate found it all very amusing, and an interesting experience, but as a recruitment agency we were very embarrassed by this. The law firm have yet to comment on their actions and behaviour, or to explain why they were trying to interview and recruit candidates looking for considerably more than the measly amount they were offering as well as the free trial period. How do you avoid such firms? Well, this is the first law firm I have come across since 2002 who have tried this out, and the last time a firm did something like this, they took three candidates, none of which we were aware of until we saw them on the Law Society Directory, and eventually we had to send bailiffs in to receive payment. The law firm was subsequently intervened, closed down and the principal struck off about a year later. I suppose that this is one of the pitfalls of being a low cost operator in the recruitment world, and never meeting our clients except in exceptional circumstances. We do try and avoid such incidents from occurring, and get the facts from law firms before we send anyone for interview at the practices. I must say that this sort of incident is about as interesting as the recruitment industry gets, as working as a recruitment consultant is never something that brings up many topics of conversation at the dinner table. I have to look back fondly on my days as a criminal defence solicitor when I could be discussing a murder over the table with my wife as we ate our dinner, and the various implications of it and any press involvement etc. These days I have to content myself with discussing business issues, and how many interviews I have arranged in a day. Jonathan Fagan is Managing Director of Ten Percent Legal Recruitment. Ten Percent are specialist legal recruitment consultants covering the whole of the legal job market nationally and internationally including Ireland, Northern Ireland and Scotland. You can contact Jonathan at cv@ten-percent.co.uk. Conveyancing - where has it gone? In the last three weeks, I have seen more conveyancing lawyers register with us than in the previous three months - we are currently experiencing a backlog of about 70-100 CVs and registration forms every week. There have been redundancies across London and the South East, and although the vast majority have been concentrated in these areas, we have also started to see redundancies in the North West, particularly in Manchester. Most other areas remain unaffected, and a lot of the redundancies also seem to be coming from firms who have expanded quite rapidly over the last 2 years or so and take referrals from other sources. If you find yourself in this position, the first thing is not to panic. There may well be an upturn in the market, and to be frank I cannot see this currently staying like this - I expect it to be lifting in the next two months. Keep an eye on our market reports for recruiting trends. Interview question – where do you see yourself in five years? We recently had a set of written responses to some of our 100 interview questions given to us by one of our candidates, who had used it to enhance her CV. We thought this was a good idea as it meant that firms could see what their responses were going to be to the interview questions before she went to the interview, and one of the answers was particularly interesting and amusing. The question was, where do you see yourself in five years time, and this is a standard question asked quite regularly by firms up and down the UK. She answered, on a beach, sat in a bar being spoon fed olives by a waiter in a g-string. Underneath this she had written, but seriously… etcetera. This made all the consultants laugh, but brings me to a point that we often discuss as consultants is, how much humour should you use in a job application; when is it appropriate and when should you avoid it. If somebody said this to me in an interview, I would probably be relatively amused, it is a funny thing, quite a witty thing to have said, but also felt slightly uncomfortable at the use of this. I have to say that my advice to people over the years when it comes to interviews, CVs, covering letters and application forms, that humour should be avoided at all costs. You are able to impart your humour when you attend for interviews, this is a vital part of the interview process – i.e. making sure that you share a similar sense of humour with the person you are interviewing. Jonathan Fagan is Managing Director of Ten Percent Legal Recruitment (www.ten-percent.co.uk). He regularly comments and advises on the state of the legal recruitment market. He can be contacted at cv@ten-percent.co.ukfor press comment or free careers advice. Many years ago, my wife and myself put our house up for sale in Leicestershire. It was a small terraced house with two bedrooms and a small garden at the back. We had not sold a house before so we decided to call in three estate agents to see what price they would give us and how much it would cost to sell the house. The first estate agent gave us a price of £95,000 on the house but said we may have to drop it to £90,000. The second estate agent said that the house still needed some work, but we may be able to reach £105,000 for it, although we would probably have to accept £95,000. The third estate agent said he wasn’t quite sure what price it would get, but he was pretty sure we would get £90,000 for it. We thought very hard about this advice and the valuations and decided to put the house on the market for £115,000. We believed that we knew the local market better than the estate agents, even though they were based about 200 yards from the house. Sure enough, with two adverts in the local press and a for sale sign and right move place, with the Little House Company, and we sold the house in two weeks. The price we reached was the full asking price, less £1000 for the cost of new damp course proof in one of the rooms. The sale went through with no hitch and we did not pay any estate agency fees apart from £100 to The Little House Company. The interesting thing with the valuations was that the estate agents actually had no idea what the price ought to have been. They were simply reaching a price based on their opinions of the general area, rather than the desirability or the potential sale value in one specific street. Their views were clouded by the need to keep sales turning over and cash flow coming in at their end, and a general lack of professional knowledge being used rather than simply guesswork. As homeowners we knew what price we needed to get for the house, and it was more than the valuation the estate agent had given. We also guessed that if we put the house on at the valuation they made, offers would be made below that valuation rather than above it (obviously). On our next house, I recognised that we may have to use an estate agent simply because it is a slightly better valued house, and the use of the estate agent will make a lot of difference to the viewing audience of the fact that we want to sell it. How does this relate to trends in house prices being amiss? Well, if you look at who is providing the valuations for the houses, it is the surveyors and the estate agents. I heard this morning on the BBC Radio 4 Today programme that surveyors have reported a ninth consecutive drop in valuations in the last year, and that this has not happened for some time. But who is providing the valuations? It is the surveyors and the estate agents. Therefore, if they decide that the market is struggling and they are unable to sell houses at the speed they need to keep the cash flow generating for their own businesses, they are obviously going to start providing lower valuations on houses and blame the credit crunch and poor housing market for the valuation. It clearly becomes self perpetuating, because as this happens and valuations are lower, home owners start finding that offers are being made below the lower valuations and feel the need to accept if they have to sell because they have very little choice in the matter if they need to find a new house somewhere else or of a different size. This affects the legal profession slightly, as conveyancing work of the traditional kind (i.e. a homeowner selling their house and moving to another house) suddenly starts to be slightly curtailed as people decide not to sell until they see if the market has got better. Talking to family and friends it is clear that the media are having an effect on the market as some of the comments being made such as, “I wouldn’t sell your house at the moment, the market is terrible”. It’s clearly a general perception of the media reporting, which is almost like a dripping tap at times in the way that news is gathered and presented as evidence of a trend. Jonathan Fagan is Managing Director of Ten Percent Legal Recruitment. He regularly writes and commentates on the state of the legal job market and the issues affecting legal recruitment agencies and consultancies. He can be reached for press comments on cv@ten-percent.co.uk. I was recently reading an article in The Guardian about outsourcing, and a lifestyle coach who stated that his opinion to try and outsource everything to someone else to do, whether this be a business or at home, and you will reap the rewards yourself in terms of time available and also cost in the long term. One possibility for law firms is to outsource any transcription work that is not required instantaneously. Ten Percent Legal Recruitment uses www.uk-transcription.co.uk a transcribing company, they specialise in analogue and digital transcription work. The way the service works is quite simple. You purchase an Olympus DSS recorder (I use the DS2300), dictate your letters, blog, articles or statements, plug your handheld recorder into your computer with a USB lead, and download your recordings. You then go into your file manager and click send to email. The recordings are sent to the company, who return them to you as soon as they are complete, which is usually within 24 hours for anything of a reasonable length. If you would like to try this service, simply email pearl@uk-transcription.co.uk with a recording and see how you get on. I regularly use the service to dictate my blog, I have to say that the speed always impresses me. I know that a lot of law firms are looking into this technology as an option for cutting costs, and if it gives any indication, I estimate that by using the service, I am saving about 40 to 50 percent of the cost of employing a secretary to work out of our offices to do the same work. It also means that you have very enthusiastic workers available at any time, when you use a service like www.uk-transcription.co.uk because they have a bank of transcribers who are all available to do the work, and you do not need to worry about staff being off sick or unavailable or overloaded. The transcribers themselves are home workers on the whole are very grateful for the work that fits in with their lifestyles. So the next time you have a piece of work and your secretary is unable to do it for you, give transcription companies a thought as it may be worth trying them out and seeing whether they save you money in the short, medium or long term. Jonathan Fagan is Managing Director of Ten Percent Legal Recruitment. He is also a management consultant and regularly advises law firms on a whole range of business issues as well as recruitment. He can be contacted at cv@ten-percent.co.uk or on 0845 644 3923. Ten-Percent handle a wide range of assignments, from finding a newly qualified solicitor for a post in September through to assisting a partner with a following move from one firm to another. The company also deals with the whole spectrum of legal jobs, from support staff, paralegals, office managers and cashiers, through to NQ solicitors, FILEXexecutives and senior solicitors. Interview question – How was your journey? This question is often asked at the start of an interview, whether it is as you walk into the room or as you sit down and take your coat off. It sounds perfectly harmless as a question, and just one to loosen you up, but it can have alternative implications. Some firms will ask whether you found them alright, and others will just ask how your journey was. If you are living some way away from the firm you are going to for interview, it may be a question they want to ask you to ascertain whether or not you are going to struggle to get into work every day without encountering traffic, or difficulties with the travel. This can be particularly so where a firm have indicated to your recruitment consultant that they are looking for someone locally based prepared to work in the area and commit to the area. It is very easy just to say, fine, thank you, when asked this question and usually stops any further conversation on the point. This may be the best way of dealing with it as if you start to reel off a big long description of your journey and how difficult you found it or how bad the traffic was this morning, you immediately set off a potential worry in the interviewer’s head that you may struggle to get into work every day but also lodge a thought in the interviewer’s head that you are someone who likes to complain a lot or be negative. Our recommendation if asked this question in interview is to keep your answer as short as you can, although obviously if you are late for the interview as a result of traffic you may have a little bit of explaining to do. It would be better to explain it as a one off as opposed to being a problem with a particular road or train. Jonathan Fagan is Managing Director at Ten Percent Legal Recruitment (http://www.ten-percent.co.uk/) . He interviews on behalf of law firms and lectures on the issue as well. You can contact him for free advice on cv@ten-percent.co.uk . Nominate your firm's website and win Business Consultancy Services worth up to £4,500! Ten-Percent would like firms to nominate themselves for the Ten-Percent Best Law Firm Website 2008 award, and get the opportunity to win Business Improvement Services valued at up to £4,500. We are looking for the websites that really stand out - whether by advertising a service, offering an online service, or simply looking very good as a source of information. In a nutshell we want to award the prize to a website that does what it says on the tin! http://www.ten-percent.co.uk/ - follow the link in the top right hand corner..
Jonathan Fagan is Managing Director of Ten Percent Legal Recruitment . Ten Percent are specialist legal recruitment consultants covering the whole of the legal job market nationally and internationally including Ireland, Northern Ireland and Scotland. You can contact Jonathan at cv@ten-percent.co.uk or call him on 0845 644 3923. The Credit Control article has moved to a new blog entry..
Ten-Percent handle a wide range of assignments, from finding a newly qualified solicitor for a post in September through to assisting a partner with a following move from one firm to another. The company also deals with the whole spectrum of legal jobs, from support staff, paralegals, office managers and cashiers, through to NQ solicitors, FILEX executives and senior solicitors. Outside investment in law firms. The Law Society Gazette on 1st May 2008 carried an article saying that firms had to shape up for the stock market. So how likely is it that a high street practice is going to be attracting the likes of Duncan Bannatyne from Dragon’s Den and receive pot loads of money to become a national player? I suspect every solicitor knows the answer to this one and it would be simply that it is extremely unlikely that anyone would want to put money into solicitors firm. I suspect the only outside investment that will come into the high street firms and smaller regional commercial practices will be from legal executives and non-qualified family members. I would be extremely surprised if anyone with any business sense wanted to put money in as the returns are so slight on most legal work. The only difference is of course when work is done in bulk and there are reasonable profit margins about. However firms like Hammonds Direct, the other volume conveyancing operations have been the first to announce redundancies due to the recent credit crunch, and I think this is a good indication of the fickle nature of the legal markets in general, and this is highly likely to deter any investments into anything outside the magic circle firms in London. One side effect of the bill permitting outside investment is probably unthought of yet, but there is the possibility that any potential trainee solicitor with money to invest could in fact buy their own training contract. Whilst you may think this is slightly fanciful, I have at present registered with us a firm in the north east of England who has been running a successful property investment company for some years, and are is on the lookout for a firm to give him a training contract with the very good possibility that he would invest in that practice in return for the chance to qualify. Whilst this might sound slightly desperate, it is going to become more difficult for anyone other than students with straight A’s and B’s at A level, a good 2:1 from a red brick university, and a straight forward career to date to obtain the training contract. There are more and more legal practice course graduates out there without a training contract, who are going to be continuing to apply for training contracts for a good number of years. Whilst all the colleges are expanding the numbers on their courses are more out piecing students, and here to take more money off potential lawyers before they have the chance to qualify, this is going to get increasingly worse over the years, I think. It may even return to the old system almost of potential lawyers needing to have family connections to firms or the finances behind them to able to qualify as posts although look as if they are paid for the purposes of the Law Society minimum salary are actually posts where the potential lawyer is expected to invest in the practice from the outset, thus ensuring his or her commitment to the firm. I suspect that the Legal Services Bill will make no difference at all to most practitioners outside the firms such as Clifford Chance and Linklaters, I am sure will eventually end up with external shareholders capitalising on the rather large profit levels that sort of firm that seems to make. The destruction of Legal Aid by the Legal Services Commission? This week we have been retained by the not for profit organisation in Kent, looking for a housing solicitor to deal with housing law at three county courts in the south Kent area. The post has been part funded by Lottery funding by the looks of it, plus other sources as well as the Legal Services Commission. It has amazed me in the time I have been in the legal profession, which dates back to the mid 1990’s, the number of firms and organisations out there covering specialist advice such as welfare benefits, housing, employment, the non-criminal legal aid side also dramatically, in such a short space of time. I have to say that it looks as if the Legal Services Commission have decimated the provision of advice that was out there, and it has ended up with a small number of firms dealing with the work in areas of high concentration and the rest of it being left to Citizen’s Advice Bureaus and charities to deal with. I always recall from my own days in practice that it was often the most difficult clients, the most awkward circumstances, who were in specific need of this sort of advice, and that when the work was dealt with, often at least half your time spent with the client could not be billed for even back in the days when the Legal Services Commission did not query every single item on a bill. I fear for the future of this area of law, as my anecdotal experience as a recruiter is that it is often left to trainee solicitors and newly qualified solicitors if that to deal with, although the vast majority of the work is probably covered these days by non-qualified advisors at not for profit organisations. Non-qualified advisors are often very good, and if they are specialists, usually known a lot more than some of the more generalist solicitors. However it is a damning indictment on the Legal Services Commission that such practitioners are giving advice on such technical issues without or being able to refer to solicitors. I have had a positive response from the housing solicitors registered with us in relation to this post simply because of the shortage of posts further into London and the south east, and the need to carry on working. However the salary levels on the post are pretty shocking for a qualified solicitor and it just goes to show how far behind the legal profession is when it comes to dealing with the bottom end of the market and the salaries that are offered. If a three year qualified solicitor cannot earn more that £30,000 dealing with an area of law, I do not think it will be long before the vast majority have simply moved into other fields or cross qualified into another career and left the way open for yet another solicitor to come through and realise how awful practice can be in certain fields and areas of the UK. This may sound slightly disgruntled, but I am unable to see how the current situation will change in years to come unless providers like the legal services commission recognise the need for such a service, and start to fund it again. I accept entirely having been in practice myself that there are a number of unscrupulous law firms out there who simply rack up the bills in order to get paid without actually providing much assistance to their clients. However the vast majority of law firms do not practice in these areas to make a massive profit, they practice in the area because it is their chosen career, their line of expertise and because they wanted to make a difference and help others. The problem with the Legal Services Commission, I suspect, is that they have no interest at all in this, and are more interested in budgets and accountability. Every year we get emails and telephone calls from law students and graduates in Australia, New Zealand and South Africa with requests for advice. Usually the advice comes in the form of an email about two pages long and lists all qualifications the person has and requests assistance or advice in finding a suitable law job in the UK. Often the person is fairly gifted, has a bit of work experience, and is travelling round the world on a student visa. They contact a lot of agencies in the UK to see if they can pick up some work whilst they are travelling. It has got to the stage now where our agency (www.ten-percent.co.uk) is unable to help or even read their emails simply because of the number, and we have to delete them without giving detailed advice. Therefore I hope this blog entry is picked up by Australian and New Zealand law students as the best advice that our company can give. Firstly, we are unable to assist you find temporary placements or get work experience in the UK. Our agency primarily deals with solicitors and legal executives with UK experience. Although we do locum work, this again tends to be for qualified solicitors and legal executives and not law students or graduates. There are agencies in the London area who deal with such placements on a regular basis and are often on the lookout for suitable candidates for short term contracts. I am unable to give details of these agencies, because I am not sure they would be grateful to me for the referrals as I suspect they are fairly inundated with applications. The sort of work you would be doing would be photocopying, proofreading, collating and answering queries on files. It tends to be done en masse, with rather a lot of others checking similar documents in a large room or in a basement. You could find yourself working for the likes of Clifford Chance, Linklaters or Freshfields, being paid a reasonable amount of money for the work. If you were thinking of doing high street work or smaller commercial practice work it is probably not going to happen for you, as the competition to get unqualified legal work is immense and the posts simply do not come up in enough numbers to enable any one agency to have regular placements for anyone travelling and looking for a few months work. It is possible to get it, and it is also possible to get work in local authority and government departments dealing with legal issues but again, it does tend to be more on an ad hoc basis than with any certainty that the post will be there. In summary, my advice is that www.ten-percent.co.uk is unable to assist with such legal recruitments, but there are agencies out there who are able to help, although you will need to find them. Referral fees. What’s the point? In the Law Society Gazette last week was an article on referral fees with a leading insurer questioning whether solicitors could actually afford to pay them. My experience of referral fees relates to personal injury, company commercial, conveyancing and medical negligence matters. It also relates to experience in the recruitment industry, where one agency will pay another one a referral fee for cross-referring into different fields. I have to say that I am yet to come across anyone apart from claims management companies who appear to have made any money out of paying referral fees. Often the fees are fairly hefty, and eat into the profit margins quite substantially. I seem to recall a firm telling me they had signed up to an internet conveyancing referral site that was charging in the region of about £200 to £300 for each of its referrals. If you consider that an average conveyance will only cost in the region of about £500 to £700, it does not leave much left for a solicitors firm to make any profit on. In the claims management industry, we watch every year as a claims management company opens and another one closes down. There seems to be a fairly consistent pattern of firms opening and closing and struggling to find any real consistency because of the fact that the profit margins are so low. The heady days of people stood in streets asking passers by if they have had an accident so that the company could refer the matter on to a firm of solicitors appears to have disappeared, and in fact the whole industry was a bit of a myth anyway because when figures were looked at there was no increase in the overall number of claims across the UK even when solicitors were suddenly marketing their wares. I recently had a car crash and was injured in the crash and required the services of a solicitor. I recalled a solicitors firm advertising in the local paper saying that they could give 110 percent of your claim back, so rather than just getting 100 percent of your claim, they actually got an extra ten percent on top. However, the fact that you could get 110 percent back on a claim hadn’t registered with me the name of the solicitors firm, and I simply resorted to knowing a good firm in the area myself and phoning them to deal with the claim. The moral of this tale is that the advertising and the claims management that has been going on over the years probably has not made that much difference to the actual provider that most people would think of going to. A lot of solicitors work is by recommendation, in a similar way to recruitment consultants (we pick up a lot of our good candidates from referrals from other good candidates and this is how we often make our placements). So when it comes to referral fees, we are not sure whether the quality of the referrals sufficiently merits spending such large amounts of money on receiving them in the first place. It can be likened a little bit to the jobs board industry that has sprung up across the world, and the rather expensive costs of sourcing candidates via them. The obvious exception being Chancery Lane at www.chancerylane.co.uk, which charges very low fees and covers a whole wide range of fields of law and concentrates on solicitors. Jobs boards charge thousands of pounds to agencies to advertise on them, yet the quality of the candidates you usually receive is fairly poor because the majority of the people registering with the job sites register with all of them and with all the agencies, and this means that when you get a decent CV it is likely to have been with at least three to four other agencies at the same time. In summary I suspect that the vast majority of referral fee arrangements do not actually produce a large amount of work for the solicitors firms involved, or if it does, the profit margins are so slight that the work is second rate and the solicitors firms try to avoid doing any work in the first place. Each time a new marketing idea come along, solicitors seem to take the recommendations of business consultants and jump on board and see where that particular marketing exercise is going, without auditing or weighing the effects or the results that they may or may not get. Sole supplier agreements – what is the point? Ten Percent Legal Recruitment offer sole supplier arrangements with solicitors firms, in house departments and local authorities up and down the UK. We have been offering them for a good number of years, and almost every campaign we have ever run has resulted in a successful placement. In recent years quite a lot of firms have tried to avoid them in the hope that they pick up more candidates by going to multiple recruitment consultants and sourcing candidates from various locations, websites and publications. What is the point of having one agency handling your recruitment for you? The first benefit is the cost. If you take a retained consultancy with our company (www.ten-percent.co.uk) the fee is automatically reduced by at least 30 percent, if not higher. The actually fee depends on the length of the contract, and also the quality of the type of placement that you are putting with us. However if you consider that our usual fee is 15 percent you are likely to be paying around ten percent, if not closer to 7.5 percent depending on the circumstances, the advertising and the sole supplier arrangement we agree. Secondly, we handle all the advertising for you. We place adverts across the web on various job boards, forums, chat rooms and with paid advertising as well if necessary, as well as advertising fairly prominently on our own website. We also get discounted advertising from the Law Society Gazette, who give agency discounts with incentives for such arrangements, so that we can offer you advertisements in the journal that your firm might not have been wanting to pay for or been able to consider. Thirdly, we can design the advertisement for you. This means that you receive our expertise as recruiters knowing what is going to attract a candidate to make an enquiry, both passive and active searchers. Quite a lot of firm place advertisements that we look at and shudder, as we know that the sort of response they will get unless a candidate is desperate is going to be minimal, whether this is because they have included too much information on one issue or whether it is because they have missed off some of the information a candidate would need before they made an application. Fourthly, all enquiries are handled by the agency, which means that none of your staff get pestered by potential applicants enquiring about the post. This also means that other applicants who would not have otherwise applied can call us in confidence and discuss the application without them needing to be embarrassed that you may find out who they are before they have made a firm decision to apply to you. Fifthly, you get no telephone calls at all from other agencies, job boards or publications trying to sell you advertising space for your job, which is a fairly regular occurrence – for example, I recently placed an advertisement in the Law Society Gazette and had three telephone calls in two days, one of which was from The Lawyer magazine wanting me to place the same advert with them. This is fairly standard practice and I think that every time I have ever placed an advertisement in the Law Society Gazette, The Lawyer have immediately called me to see if I want to place it with them. Finally, you do not actually pay any fees at all until the agency has found you a suitable candidate, which means that all the work undertaken is completely free of charge if the eventual agreement does not produce you the results you require. Obviously you have to pay the Law Society advertising costs, but the remainder of the cost, for example the Chancery Lane advertising or the job boards online or the forum work is all entirely free. We may also, if we know anybody in the area who may consider the post, actually telephone and headhunt on your behalf, and again, this is at no cost. The other massive benefit is, of course, that you get the candidate search done through our own databases as well and this is free of charge. The arrangement can be cancelled at any time and you do not have to stick with the sole supplier arrangement for longer than four weeks if you do no wish to. Most of the time, they are successful, but of course, in this game, nothing can be guaranteed and some assignments can be particularly harder than others. It does mean that you can hand over a particular recruitment task to someone externally and sit back and wait to see what happens, without needing to worry about it for the time of the sole supplier arrangement. What fees do recruitment consultants charge? There are over 40,000 recruitment consultants working in the UK at this present time. I recently read an article where it said that the recruitment market in the UK is one of the most developed in the world, with other companies less likely to use agencies for permanent work than companies in the UK. Agencies cover just about every walk of life, be it a librarian, a lorry driver, shop assistant or even a solicitor. The reason they have sprung up in such numbers is because of the tax advantages of using one. The entire bill is tax deductible and it means that advertising, time spent dealing with applications by staff, administration costs can all be factored into one fee by handing over assignments to recruitment agencies. Obviously there are good, bad and horrible recruitment agencies, and some truly dreadful ones. The whole industry has a trade body called the Recruitment Employers Confederation (REC) and there are a couple of smaller rival trade bodies as well. The sort of fee that you could expect to be paying a recruitment agent can range from 10% up to 45%, depending on the assignment and level of candidate you are looking for. If you are looking for a lorry driver or a shop assistant on a permanent basis, most agencies charge about ten percent if not less for the placement. If you are looking for a solicitor earning £45,000 a year with partnership prospects, then most agencies will be looking to charge in the region of 25 to 30 percent of the first year’s salary for finding that candidate. If you are looking for a sole supplier to headhunt or source you a chief executive, then it is possible that you would be looking at a bill in the region of about 40 percent of the first year’s salary, if not more. So why are the fees so expensive? The larger companies working on the high street or in office blocks have to charge higher rates because of the overheads of running a conventional recruitment agency. Time after time I have been in business, I get informed by the owner of a company that all I have done to place a candidate is send them a CV, and he or she has had to do all the other work. He or she is unable to see that the recruitment agency has had to find the candidates in the first place to send to the company, something the company may have struggled with. Employers cannot see the hours of processing the candidate and sending through vacancies, for sometimes up to five or six years before they find the right post, and neither can they see all the abortive interviews that have gone before for that candidate. A lot of work goes on behind the scenes at recruitment consultancies that companies and firms are unable to see or to quantify in terms of cost. The fees charged reflect these overheads, but also a good profit margin on top of this. A recruitment agent charging 25 percent fees is probably looking at about 60 percent profit margin on that fee. Obviously if an agency is charging less, but not dealing in bulk, then their profit margins are much lower. On the temporary side, where the agency employs the worker, there is usually a margin charged by the hour. I have heard it said that the usual rate is between 12.5 and 25 percent margin on the hourly rate being paid to the employee. Jonathan Fagan is Managing Director of Ten Percent (www.ten-percent.co.uk), legal recruitment consultants in the UK charging a range of fees, all very competitive of course! You can email Jonathan at cv@ten-percent.co.uk. Always happy to give comments to the press. This question is probably asked by every business owner in the UK of any business consultant they meet and the answer is almost guaranteed to be, “I haven’t a clue”. There is no rule of thumb or guide as to how much you should be spending on your marketing or advertising budget. It should obviously not bankrupt you, or eat into your profits sufficiently to affect you, and every piece of advertising or marketing must be audited and measured to determine its effects. I was looking on the telephone directory this morning and noticed that a conservatory company had obviously paid a fairly substantial amount of money to be placed on the front of the telephone directory at the bottom of the page. I was thinking about this afterwards and wondering whether this was effective marketing or a complete waste of money, as if I was thinking of buying a conservatory I am not sure that I would look on the front of a telephone directory for a conservatory company, rather under conservatories. I am not even sure if I would have noticed the advert sufficiently to pay any attention to it or to recognise the brand name, as it was the same colour as the colour of the directory front, and did not really stand out. This got me thinking about marketing, particularly amongst law firms. On our website (www.ten-percent.co.uk) we have a number of Google Ad word banners and also search boxes that generate a small amount of income for the company every time somebody goes onto the site and clicks through on an advert. It is a quite amazing the number of solicitors firms that advertise on our site, possibly without realising that they are. Costs of a click can vary widely, but some clicks are now costing in the region of about £4 to £5. I wonder if any of the firms who are using Google Ad words have actually audited the effect or usefulness of it or whether they have in fact picked up any clients by being on it. Perhaps another example is the lengthy radio and television campaign run by some local and national firms of solicitors looking at personal injury claims. In recent years, a firm in Liverpool ran a campaign on our local radio station that was extremely well presented and seemed to present their case quite nicely for being a market leading company, one that you could trust and use. However, the cost of that campaign must have been phenomenal, and I wonder to this day whether or not it was justified for that solicitors firm and how much extra business it actually picked up for them. I have also seen advertising on the backs of buses, or in years gone by solicitors firms providing custody sergeants in police stations with pens, cups or mouse mats so that they remember the name of their firm when a prisoner was asking about local firms of solicitors. Quite a lot of marketing I have found is more a test to see what works and what doesn’t. For example, in the legal recruitment business I occasionally dabble with the notion of spending a lot of money on advertising in the Law Society Gazette with big advertisements on a regular basis with all our vacancies on. I also spend a fair amount of our advertising on Google Ad words, but I avoid as much as I can the content network, which is where Google place the advert on other sites like ours for people to click through on as I remain very suspicious as to whether some of these sites are actually fraudulent and are spending a day clicking through themselves or getting others to click through for them. As a rule of thumb I reckon that every company, regardless of field or area, ought to be spending in the region of ten to 20 percent of its turnover on advertising or marketing. This has certainly been the case for us. There was a legal recruitment company called Integral Legal Recruitment not so long ago that was running full page adverts in the back of the Law Society Gazette quite regularly. There then followed a news report that Integral had gone into administration and that their database of clients and candidates was up for sale. That has always stayed with me since and I am aware of the danger of overspending on advertising like Integral did. We had a marketing review done of our business, and the research had discovered that if Integral had been paying full rate for their advertising in the back of the Law Society Gazette, they would have spent in the region of about £270,000 in one year, would mean that in terms of placements, they would have to be making over 80 placements probably just to pay the cost of the advertising which is quite a substantial amount for a legal recruitment consultancy! Crime Solicitors - the market is booming! In the last few days we have seen an explosion in duty solicitor and crime recruitment. It appears that suddenly duty solicitors have become the flavour of the market and after the last 12 to 18 months of redundancies and dire warnings that everything was going to disappear and that no crime solicitors would be left. I have been inundated in my areas of the country (London, Home Counties, parts of the Midlands) with telephone calls and emails from firms wanting any duty solicitors that we have. Some of them are completely unrealistic, others are slightly more realistic. The sort of salaries that are being indicated at present are lower than previous years particularly so in and around London. So what can you expect if you are a duty solicitor or crime solicitor currently on the market looking for work? In London, quite a lot of the firms are interested solely on a freelance basis, i.e. you sign your slots over to the firm in return for a basic plus commission with a certain percentage of each bill coming to you as opposed to others. Where salaries are indicated they are usually in the early to mid thirties, with very few firms wanting to go up to £40,000 plus unless it’s an all inclusive package that incorporates out of hours police stations. Out of London it is pretty similar. Very few firms want to take on the duty solicitors looking for salaries of £40,000 upwards, but would rather look at recently qualified duty solicitors aiming at £30,000 upwards. Anyone looking for £40,000 upwards is likely to have to consider some sort of profit share in order to attain this as it does not appear to be the norm any more for duty solicitor salaries to start at £40,000 and hit £45, 000 to £50,000 if lucky. Newly qualified solicitors (with police station accreditation) are pretty uniform across the UK now. The going rate is anything from £22,000 up to about £28,000 with the average being somewhere around £24,000. There are vacancies around now and it is starting to pick up on this front. If you are looking from outside of London and thinking that salaries are much higher inside London, you will be mistaken, as London firms are no longer paying any premiums at all compared with days gone by. Salaries will be the same these days regardless of where you are looking, except with some firms who still pay well in return for the obvious benefits to them for retaining staff for long periods of time and having good relations with them. It is a very hard market to be in at present, with all the changes coming through and the threats every few months to the incomes of crime solicitors. However, this has always been the case and it is not a recent phenomenon for government departments to attack or effect the crime solicitor market by restricting or increasing workloads. If you are a crime solicitor thinking of changing fields, it remains extremely hard to do, although there are now specialist courses now being developed by various providers to retrain in matters like wills and probates or commercial law. You must remember however that in order to do this you will really have to struggle for a few years to find suitable posts and you also have to decide whether or not the other field of law is suitable for you and whether you are able and capable of dealing with it for a number of years. Changing daily visits to the magistrates court and police stations with the obvious adrenaline bursts that go with it to being sat behind a desk filling out contracts or signing wills is quite a different change to your whole career. Jonathan Fagan is Managing Director of Ten Percent Legal Recruitment (www.ten-percent.co.uk). He regularly commentates and writes on the legal profession, legal recruitment and the state of the legal job market. As a former crime solicitor, he is particularly interested in the crime field, and Ten Percent owns a specialist website www.crime-solicitor.co.uk to deal specifically with duty solicitors and police station accredited solicitors. Guide to interviewing for employers. 1. HR managers have been trained in specific techniques designed to apply psychology and test a candidate’s personality, but are usually unable to determine someone who you personally would feel comfortable working with. Make sure the person you are employing is someone that you could work with and get on with well in a work setting as well as a social one or an interview environment. 2. Be sure that the person you are employing is technically capable of doing the job. Ask a couple of technical questions during the interview and gauge the response. 3. Write down all the answers that the candidate gives you, as if you are interviewing 20 potential employees in one day you are almost certainly going to forget half, if not three quarters of what is said. 4. Refrain from taking over the interview and not giving the candidate an opportunity to speak. A lot of interviews are conducted by interviewers who have not really understood the idea or concept behind interviewing, which is for you to determine that the person you are interviewing is suitable for your company or firm. If you do not allow them to speak, you will never know this. Indeed, the person will go away wondering whether or not you are the slightest bit interested in them when all you have done is spend the time talking about yourself. There is a law firm in Nottingham where the senior partner is very well known for doing this and offering jobs to people at the end of the interview without them actually having uttered a word. 5. Do not be defensive to any questions that are asked by the candidate. Some candidates like to see how you will react as an employer in a situation where you may have been put on the spot or under a stressful situation. They may wish to see how you would react to them asking them, for example. An example of this would be a question such as, “What do you do if you get angry with your employees? Have you ever thrown a book at them?” It may sound a silly question, but if they have come from a firm or company where their former employer was slightly deranged and undertook such exercises on a regular basis, it may be something they feel very concerned about. 6. Smile in the interview. Do not glare at the candidates, and if interviewing as part of a panel try and avoid the situation where one of you acts as good cop and one of you acts as bad cop. This does not work on the whole, unless interviewing very junior members of staff who are desperate for work and may just annoy anyone with a bit of experience in the work place. 7. Think about using a mystery shopper to sit in reception with the candidate when they come in. This can be very interesting. You may find the person is reading your literature or may find them sat reading the paper but you will see them in a more relaxed state than they would have been in the interview. Ask your receptionist or secretary to keep an eye on them as well and to give you their feedback on their greeting to them and the way that they spoke to them when they first came into the building. 8. Avoid asking too many questions which are waffly or require lots and lots of business speak. Anyone can do business talk if they have been on the right courses, but it does not determine whether that person will be any use to your business or firm or gauge how hard working they are. 9. Do try to ask questions that put the candidates on the ropes and make them work hard with their responses. It will give you an idea as to how they react in a difficult situation at work. 10. Don’t forget to ask a moral question and see how they react to it. Such examples would include whether they would report a fellow employee they saw taking paper clips out of the stationery cupboard, or observing a potential criminal act taking place that required police intervention. 11. Finally, remember that the person you will be interviewing could be someone that is going to work with for a long, long time and if you give off an bad impression in an interview, this can last throughout your relationship as employer/employee. It does not necessarily follow that because a potential employee does not like you, they will not want to work for your company, as firstly money talks, and secondly they may see your company or business as an ideal career opportunity as opposed to needing to fit in well with you. Jonathan Fagan is Managing Director of Ten Percent Legal Recruitment and also works as a management consultant advising law firms and others on business consultancy issues. You can contact him via cv@ten-percent.co.uk or visit the website http://www.ten-percent.co.uk/. 07/05/08 Third class degree – should I be looking to become a lawyer? A question we are asked quite regularly by law students is whether they should be looking to start a legal career if they only have a third class degree (sometimes this can be a 2:2 as well). If you have a third class degree it is important to bear in mind the main issue, which is that quite a few firms, if not the vast majority, use the class of a degree as a benchmark to determine whether or not to shortlist that person for interview. Third class degree applicants are very easy to filter, as it is the perfect excuse to get rid of a reasonably sized number of applicants without needing to read the CV. If you see it from the firm’s perspective, if you have 100 CVs for one training contract position then filtering them out via this method is an easy way of reducing the number without needing to do very much work at all or think about it. So I suppose in one sense, it is so difficult to find a training contract with a third class degree, it is possibly next to impossible. There is almost a feeling within the legal profession that if you have not achieved academically you are unlikely to achieve as a lawyer and therefore there is some justification in not considering third class applicants. After all, if you could choose between a candidate with a 2:1 degree, good A level results, and a steady and fairly successful academic career with a bit of work experience or someone with a third class degree, no work experience and who has struggled through their A levels, I’m sure I know who I would choose. That said, it is not impossible. If you have a look for example on www.ten-percent.co.uk/careers_centre.htm you will see that a third class degree graduate has written to us to say to other people not to give up hope, that she has managed to qualify as a solicitor. However, I would say that this is the exception to the norm. if you have a third class degree your struggle is going to be that twice that of someone with a 2:1 or a 2:2 and you may never actually qualify as a solicitor. It is only those that have their determination to succeed who would actually manage to find a training contract, and the rest of the applicants disappear. However, when I was lecturing last year on careers I was astonished to find a good number of students doing a legal practice course who had a third class degree, and I was very surprised to see this as these students were going to struggle to find training contracts, yet were spending many thousands of pounds on the cost of training. Not only that, but very few of them had work experience or shown that many signs on their CVs that they had any enthusiasm or determination to succeed as lawyers. The main advice I can give is not to give up hope, but to be aware that to succeed now having achieved a third class degree you will have to work two, three or four times as hard as anyone else, and it may take a very long time indeed. Instead, doing a master’s degree to counterbalance the third class degree is probably counterproductive in the vast majority of cases. Firms are unlikely to ignore the third class degree and consider the master’s degree as an alternative. 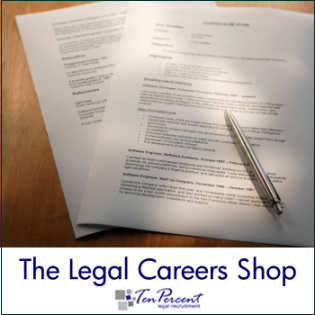 A case emerged yesterday in our company where an interview had been arranged at quite high speed with a firm who were very keen to take on a recently qualified solicitor in a high street field. We arranged the interview, and had a further five or six enquiries from other candidates and as soon as the interview had finished, the firm made a job offer as they were very impressed in the quality of the candidate. They offered the post at £3000 more than the candidate had asked for and asked for a quick response. We phoned the candidate and emailed the job offer through and got a response back that she would think about it and also had other interviews to attend in other areas of the country. When we enquired further, these interviews had been arranged it seemed out of desperation through lack of job interviews or offers in her home area. However she did not want to give them up and she was worried about accepting the first post that came along. Our advice in recent years would have been to wait, attend the other interviews and see what the outcome was. However in the current climate at newly qualified and recently qualified level it is important to take into consideration the market and the possibility that if you do not accept a post that is at the level or higher than you requested in the area that you were looking for that it may disappear again as fast as it came up. The market is no longer a sellers market, it is a buyer, i.e. the law firms are in the driving seat and the candidates are selling their wares and needing to sell them well in order to get a post. If it happens to you and you find that you are offered a legal job by a law firm as a recently or newly qualified solicitor and you have not had anything else in recent months, perhaps been made redundant or heard of redundancies in your current firm, it is important to consider very carefully any offer that comes in at such a level as it may be that it disappears again as fast as it was offered. Some candidates do not believe that firms will withdraw offers if an acceptance is not forthcoming at fairly high speed, but it happens every year. We have seen it happen to candidates looking for salaries of £75,000 as well as candidates looking for salaries of £20,000. Sometimes pride comes before practicality and some firms are almost reluctant to make offers and hold them open to candidates who are thinking about it for quite a period of time. I must confess myself that at times I’ve made job offers and somebody has thought about it for a long time and this has made me think that maybe they’re not as interested as I thought they were, whereas from the candidate’s perspective they might just feel they’re being responsible and taking time to think about things, might end as understandable. However, often in recruitment it is a feeling or perception that progresses job offers and acceptances or hinders them or removes them. Jonathan Fagan is Managing Director of Ten Percent Legal Recruitment (www.ten-percent.co.uk). He regularly commentates and writes on the state of the legal profession, and legal job market and legal recruitment. For press comment or for free legal careers advice, please email him at cv@ten-percent.co.uk or call 0207 127 4343. Law Society have announced a “Support Solicitors” advertising campaign. It has been announced today that the Law Society are going to run a £500,000 advertising campaign to support the brand of solicitors. This will involve advertisements saying how good it is to go and see your solicitor rather than to go to the supermarket and see someone there or someone else perhaps. I have to say that the whole campaign seems to be a complete waste of every solicitor’s practicing certificate money and any income the Law Society has. The reason for this is quite simple. Firstly, there has been no indication yet of anyone merely moving into the legal market to compete with solicitors. Secondly, even those players who have come into the market, such as the RAC, the AA, the Co-op and possibly Tesco’s, none have found a way of ensuring their costs are anything lower than solicitors firms on the high street, and hence the model for the provision of legal services remains unchanged in that the cost of having staff who are qualified and maintaining offices and professional indemnity will be no different for a company like Tesco’s than it will for a small high street practitioner. It has been interesting on the crime solicitor front in recent years. A few years ago, Lord Carter did a review and it may be recalled that Lord Carter comes from a supermarket background. He looked at the way that law firms were run and concluded that the only way that crime defence services could be provided would be to have firms of large size competing against each other on the cost of a contract. Immediately firms started to merge, expand, take on new staff and build up their practice in anticipation for this wonderful new world, and within six months most of the firms who had expanded were making redundancies or going out of business as it just did not happen. In actual fact what is happening as I write this is that quite a lot of firms of a smaller size are competing more effectively for the cash than the larger firms because the cost of providing the services in the legal profession is usually the same whether you are a large firm or a small one. The same has happened in the conveyancing market in that there have been some very large volume conveyancing operations set up handling many hundreds of conveyances. As soon as the credit crunch has come into play these firms have needed to downsize fast as they have not been able to sustain their business, whereas quite a lot of the smaller providers are still seeing a regular flow of business off the high street and are not experiencing the same effects. It is for these two reasons that I remain very dubious as to whether there is a threat to the solicitor profession in the long term as the status of solicitors, regardless of salary, working conditions and anything else anyone wishes to throw at them, remains quite high in society. Besides, the advert that was printed on the front of the Law Society Gazette was done in such a way that I don’t think anyone would read it or let alone be the slightest bit interested in the message the Law Society are trying to get over. Perhaps the Law Society may be better speaking to their editor of the Law Society Gazette and seeing whether he can produce some stories promoting the benefits and qualities of solicitors instead of week on week producing a Daily Express campaign almost to get rid of them and scare them into closing down or having a nervous breakdown. This may be a more appropriate use of their money as it probably wouldn’t cost them anything to either put some pressure on him or dismiss him from his post. Jonathan Fagan is Managing Director of Ten-Percent Legal Recruitment (www.ten-percent.co.uk). He regularly commentates and writes on the state of the legal profession, legal recruitment and legal job markets. For press comment or for free careers advice, please email him at cv@ten-percent.co.uk or call 0207 127 4343.